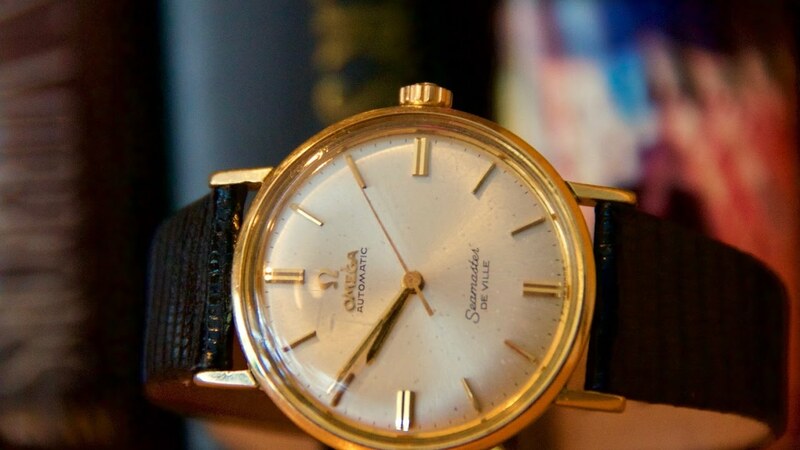 A golden Dugena on a Fixoflex band is the epitome of the grandfather watch from the 1960s. 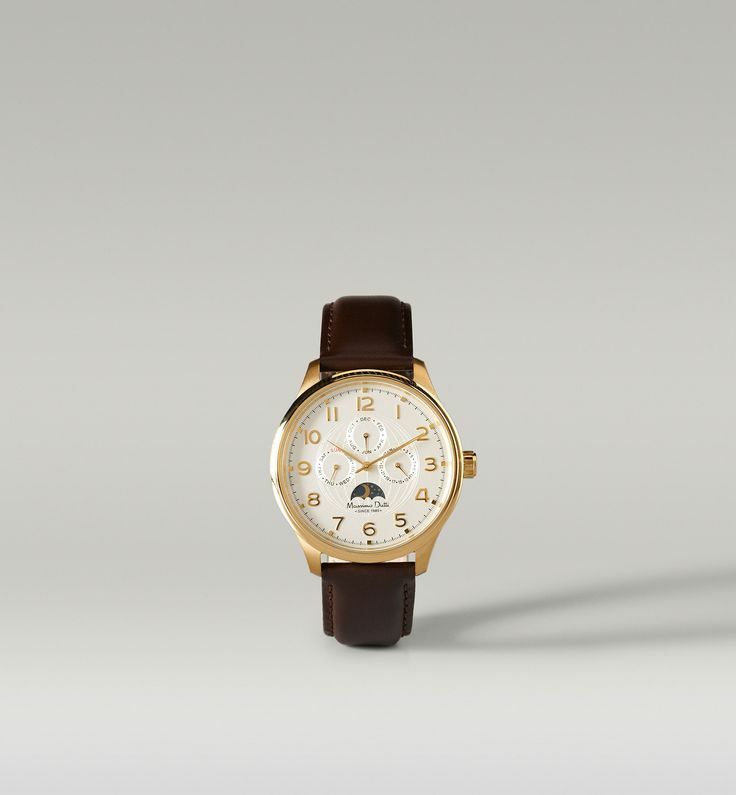 But the brand already offered much more–including high-quality Swiss watches at reasonable prices. 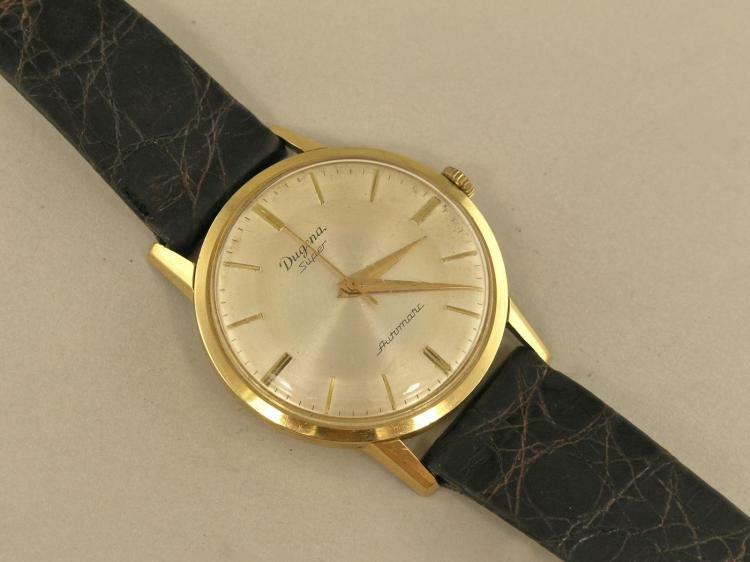 Today, collecting Dugena watches is an interesting affair. Depending on the model, it will be an incentive for gamblers, sometimes the challenge for hobbyists. But historical models of Dugena also promise: A lot of time for little money. 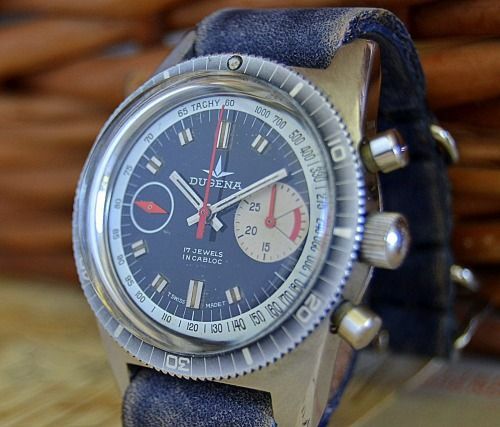 What you should be aware of when buying this article is shown by the four vintage watches Dugena festa, Super, Tropica and Monza. What’s behind the historical Dugena? In contrast to other manufacturers, behind Dugena a trade cooperative, which produced clocks at various factories and had the Dugena signet stamped. For collectors this explains the grocery store, which can be found under the search term Dugena. The spectrum ranges from simple utility clocks with German manual elevator and automatic works from PUW, DuRoWe, Bifora or Förster to high-quality Swiss works by Adolph Schild (A.S.), Valjoux or Buren. The price spectrum reflects the variety of models. With less than 50 euros, the beginner classics are purchased. For the rare models with the hand lift work Valjoux 7734 or the famous microrotor caliber of Buren in the model Dugena super can be spent up to 1,000 euros. In addition, almost all materials are represented in the Dugena housings. 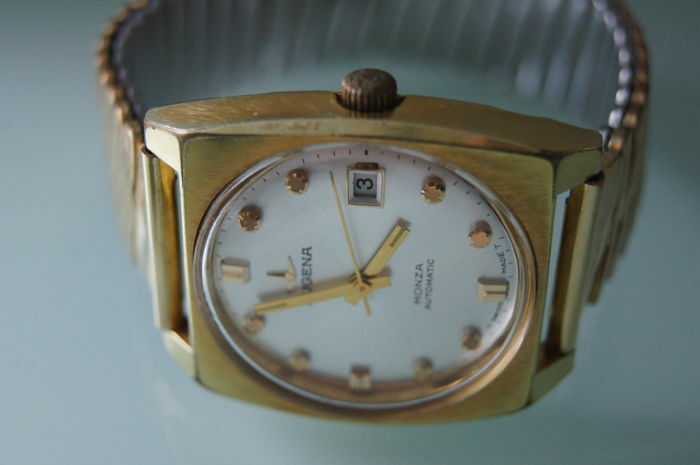 In addition to classic Sixties design in solid yellow gold or gilded housing, there are chrome-plated brass casings as well as plain stainless steel. Historically, Dugena has its roots in the Swiss Union Horlogère, which was later renamed Alpina Union Horlogère. In Berlin, 1899 was founded the German general representation of the Swiss company. The director Emil Rothmann established his own production in Germany about ten years later. In Glashütte/Saxony, Traditionellsreichem location of the watchmaking industry, watches were manufactured in the Präcisions watch factory Alpina Glashütte I/S. 1917 the German watchmakers ‘ Association Alpina was founded in Eisenach as a complete separation of the Swiss mother, 1927 the headquarters was moved to Berlin. 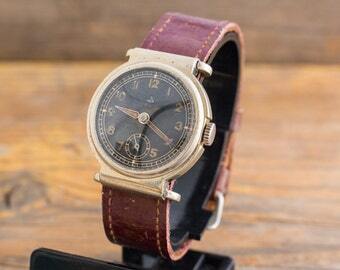 With the Second World War the conditions changed, from Alpina was Dugena–the German watchmakers ‘ Association alpina. 1942 the trade mark was registered. Until 1948, it remained in the Soviet-occupied eastern, followed by the move to Darmstadt. The then director Willi Tempel, as an advertising specialist, relied on the brand–a heyday erupted. After the war, the demand for watches was great–many also found their way abroad–and the economic miracle years were also imminent. From the beginning, the clocks were commissioned at various manufacturers, as a purchasing cooperative registered Dugena 1967 almost 2,000 members. For the precise identification of a Dugena watch it is always necessary to look under the ground–and even then many times the Dugena-own identification of the work in the search for the original is confused. Works from all major manufacturers from Germany and Switzerland were installed, except for pin-anchors, almost all quality levels. At the beginning of the 1950s, Dugena brought the Festa to market. The name stood for quality and exceptional durability, first models already had a screw base with full thread. The calibers used are known for accuracy and robustness, but the search for spare parts is sometimes not easy. In the case of a second-hand purchase, it is advisable to recommend clocks with working works, an overhaul should always be included. This can be done by any watchmaker. However, the popular housings with rolling goldauflage, especially in the 1950s and 60s, are difficult to restore. Heavily grated gilding can only be galvanically replaced, which makes extensive preworking necessary and thus usually breaks the cost frame. With the three models Tropica, Monza and Super bot Dugena for every taste something. A special treat is to this day the Dugena super with the Microrotor caliber Buren 1001a. The movement was presented at the end of the 1950s and offers a maximum technical performance with an integrated microrotor. With and without date the watch was only a few years to have, the used purchase is a gamble. 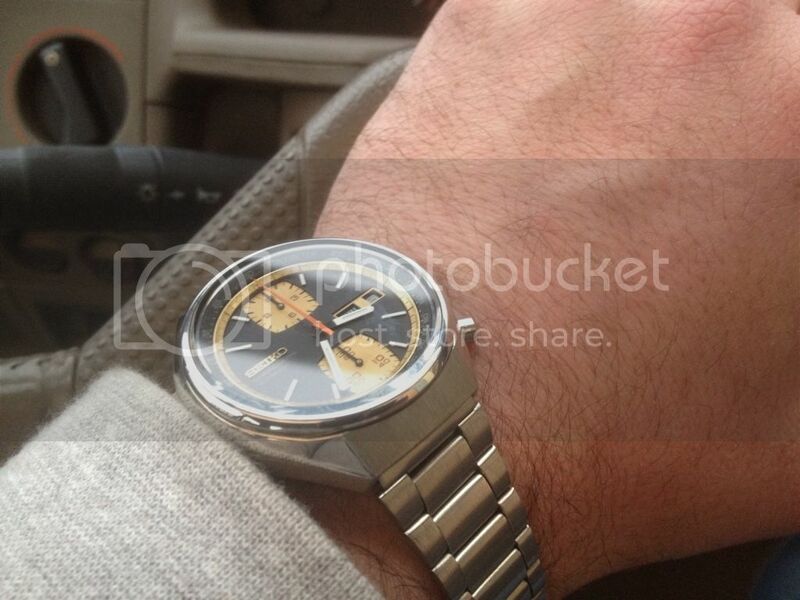 Often the watches were worn a lot, but little cared for. The technical condition is therefore often poor and can only be restored with high costs. Watches that appear to be visually high-quality and well-preserved are hopefully only used as Sonntagsuhr and therefore easy to overtake. The price range of the used super models knows all the extremes. Non-connoisseurs auction such clocks from one euro on ebay. From a connoisseur’s hand, a well-preserved and perfectly running super can also easily exceed the limit of 300 euro. Massively golden models are 1,000 euros each. The Dugena Tropica fulfilled higher demands on water density than ordinary timepiece. The watch should, according to its name, also serve its service in tropical climatic conditions. Between 30 and 150 euro It costs a tropica in medium to very good condition. It is also important to look at the movement–for ETA-caliber watchmakers can order spare parts. In the works of German manufacturers such as PUW or DuRoWe, which are no longer available, this may look different: if necessary, the purchase of a suitable Schlachtuhr is offered, from which the movement or individual parts can be taken. The Monza was available in numerous variants: the classic version in stainless steel is equipped with an ETA plant 2783, date, and Plexiglas. 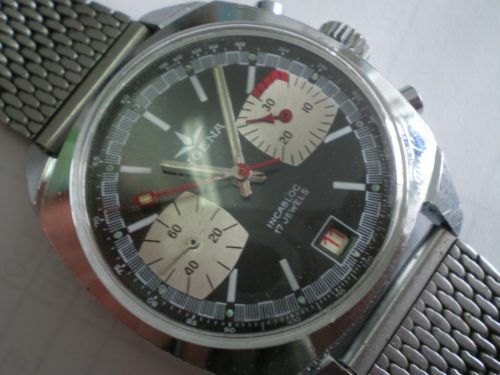 Visually clearly used watches are to be auctioned from about 50 euros on ebay. The works can usually be easily overhauled, scratched plexiglass may be polished or replaced with jumps. Only Valjoux works are used in the Monza models with stop function. Depending on the variant, the 7733 (with 30-minute counter), 7734 (with date), or 7736 (with 12-hour stop display) are installed. 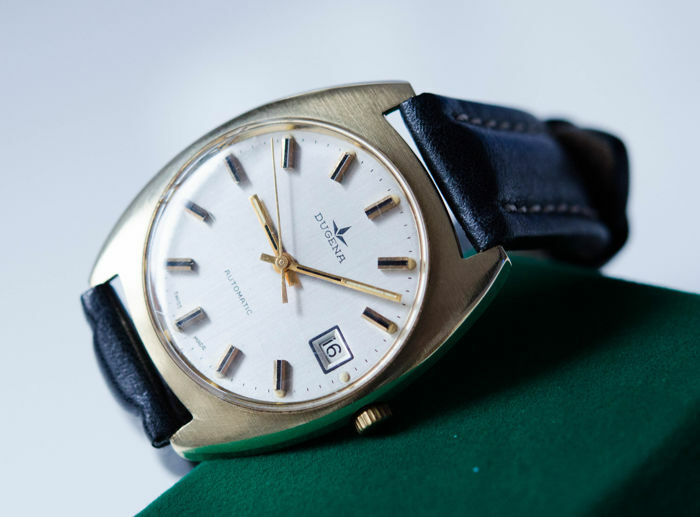 With a good dose of luck, such models can be purchased under 200 euros, with a very good condition of the dial, the housing and the pointer set, the prices are also significantly higher. Dugena would not be Dugena without particularly failed versions of the Monza. At the end of the 1970s a version came into the market, which was clearly based on the Porsche design, and the interior has a Valjoux 7765. 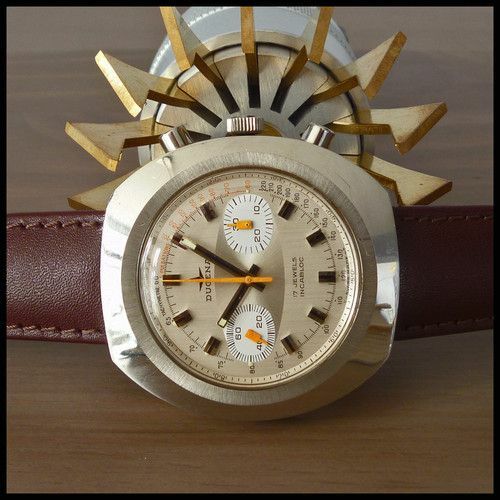 This hand-wound version of the 7750 without hour meter is as rare as movement as this specific Dugena model. 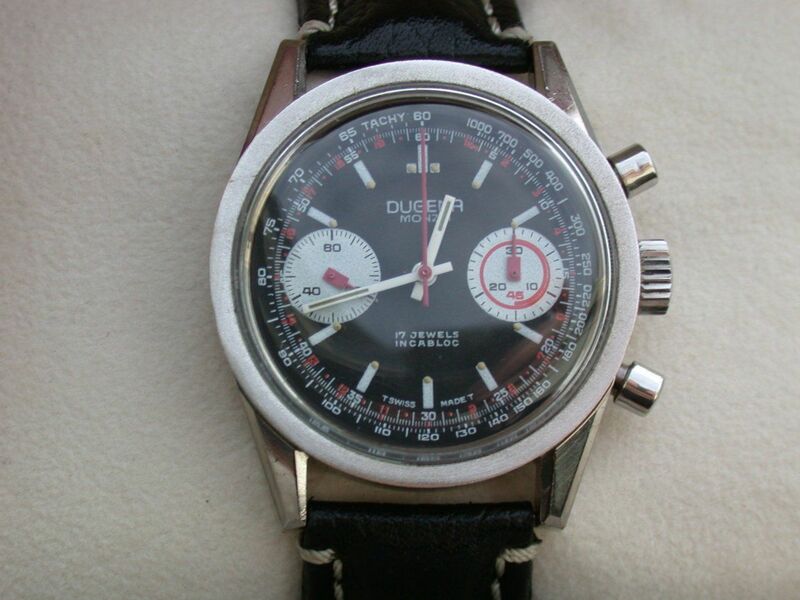 At the beginning of the 1980s, Dugena offered a chronograph dedicated to racing driver Hans Joachim Stuck. The black-coated watch with Valjoux 7750 is a rare collector’s item and rarely under 500 euros. Also variants with the rare and robust movement Lemania 5100 were available, here the collectors prices strive towards the sound limit of 1,000 euros. Since 1973, Dugena is a GmbH, towards the end of the 1980s the Dugena star began to fade, the brand lost market shares. 1993, the company was sold to the Egana-Goldpfeil-Holding, based in Hong Kong. Clocks were still dropped, the quartz content was almost 100 percent. Only a few mechanical models with Miyota or orient work were produced, which today are traded at low prices on the Internet. Since 2009, Dugena is back in German hands. 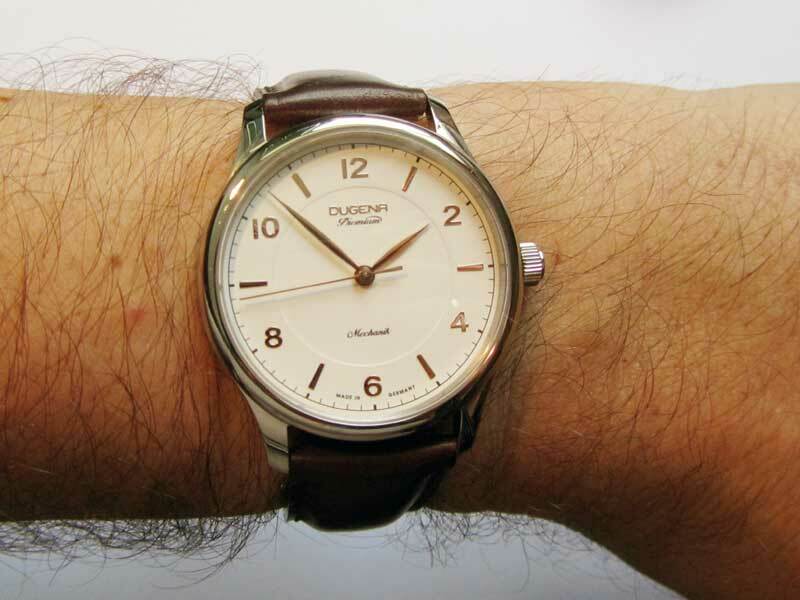 Under the direction of Heinz W. Pfeifer–formerly owner of Glashütte Original–Dugena developed a new collection. 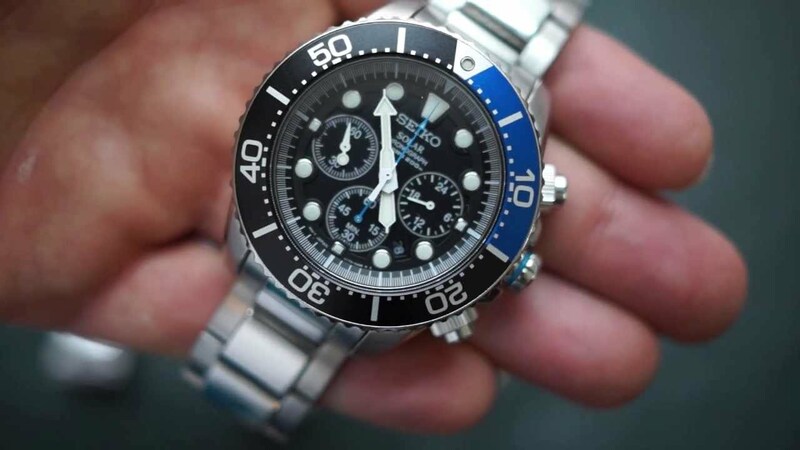 Mechanical watches can be found today under the label Dugena Premium, they work with high-quality Swiss or Japanese movements and are partially rebuilt at Dugena. The design is based on the established fashion, but also on historical models. 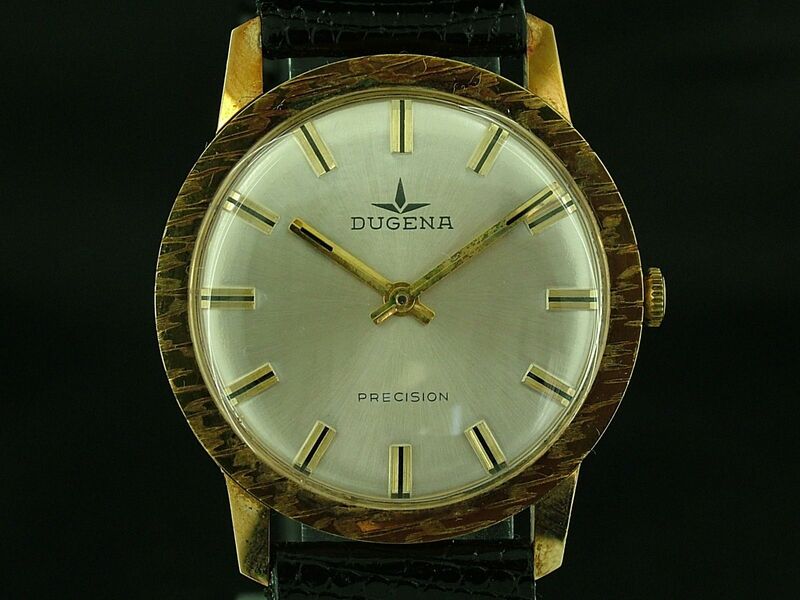 Thus Dugena ties in with old values: Affordable watches with high quality. This is exactly what collectors appreciate for the historical models. So it is called access, as long as there are still well-received watches at appropriate prices. Continuously updated article, first posted online in August 2015.